Dubai is known for initiating some of the most ambitious projects in the world. As the Dubai Expo 2020 is fast approaching, the government and developers have been conceptualising projects that continue to put the city in the limelight. In this article, we are going to look at one of the most prominent projects, the Emaar Dubai Creek Harbour. This project is developed by Emaar Properties and Dubai Holding. It combines innovation and unique design to create a neighbourhood that has everything including residences, shopping complexes, offices, etc. The Dubai Creek Harbour is located at the banks of the Ras Al Khor Wildlife sanctuary. This sanctuary spreads over 620 hectares and hosts over 450 animal species especially migrating birds. Once completed, the Dubai Creek Tower will be the tallest structure in the world. Dubbed as the ‘icon of the 21st century’ the tower will provide a 360-degree view of the Harbour and the city’s horizons. The structure is valued at AED 3.67B and is designed by Santiago Calatrava, a Spanish-Swiss architect. The design of the tower has been inspired by the lily flower and traditional minarets with vertical columns. This will be an eye-watering centrepiece not only for the Dubai Creek Harbour, but also for the whole city of Dubai. One of the most prominent features of the harbour is its beaches. The beach stretches along the canal that runs between the island and the mainland. It will feature mid-rise residential apartments with top of the range amenities. Also, for easier accessibility, there will be a dedicated metro transportation system that will connect residents to other parts of the city. As mentioned earlier, this is a mixed development that will feature almost everything. Currently, most Dubai Creek Harbour Projects are being sold off plan at discounted prices and flexible payment terms. Residents will experience a luxurious lifestyle surrounded with all the necessary amenities. Currently, the Dubai Mall is one of the biggest shopping complexes in the world. However, it will be bypassed by the Dubai square which is expected to be completed soon. Once completed, the Dubai square will feature retail outlets from around the world. 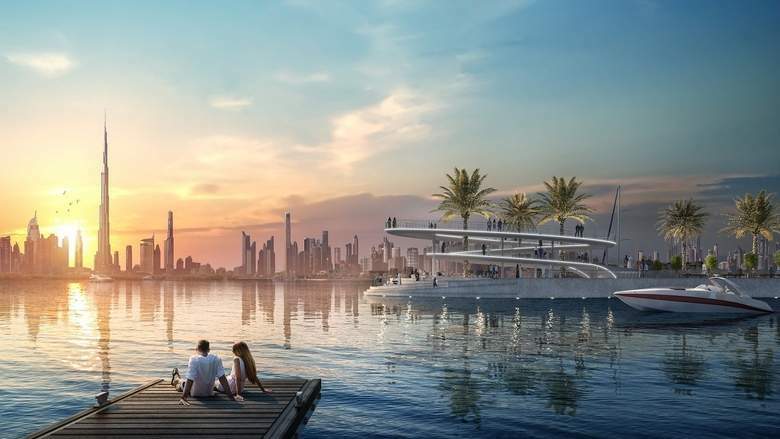 You can get a glimpse of how the harbour will look like by visiting the ‘Rise Dubai Creak Harbour’ which is open to visitors throughout the year.